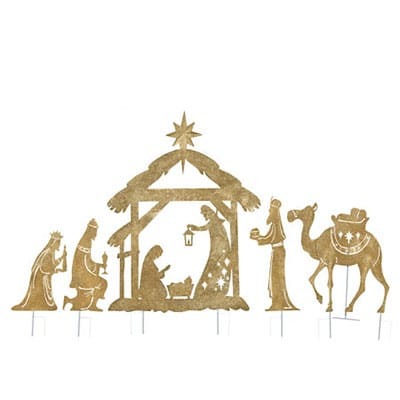 A wondrous religious Christmas gift for those you love this holiday season, this magical depiction of the biblical scene is a glorious sight. 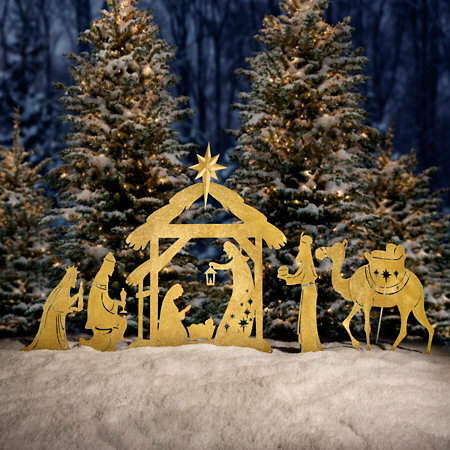 A religious Christmas gift for your church, your loved ones far away, or your own home this holiday season, this magical nativity scene includes Mary, Joseph, the Baby Jesus, and the Three Wise Men to depict the biblical scene like never before. 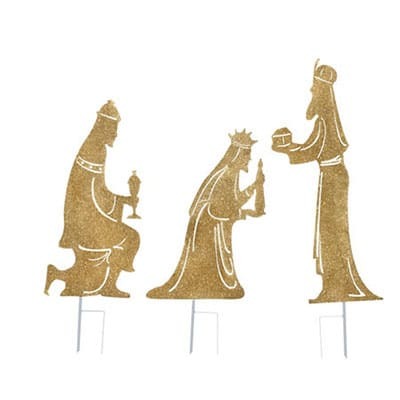 Illuminated with clear, incandescent lights by night to enhance the beauty of this scene, and shimmering in the sunlight by day to draw interest to passersby, this magnificent holy scene reminds everyone who sees it the true reason for the season. 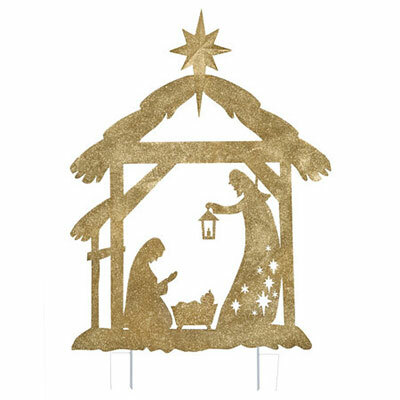 A wondrous display to add to your festive holiday garden, this nativity scene is an excellent addition to your indoor décor as well. 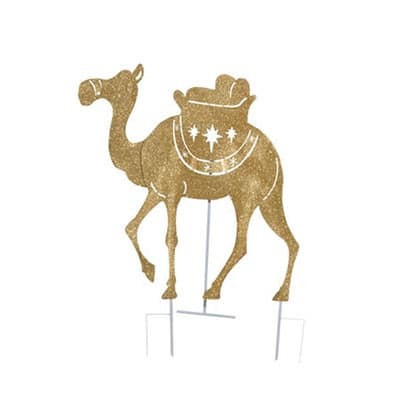 Created from dazzling, sequined fabric and shimmering tinsel, the nativity scene is a must have for your church, your home, and your religious loved ones this Christmas. 2 dimensional set of 6 pcs.